You have probably heard that dietary fiber is an important part of a healthy diet. What’s more, foods high in fiber are not hard to find. In fact, many can be found in the foods you are probably already familiar with! But despite this fact, many of us still do not get enough fiber in our diet. In fact, most consume less than 50% of the recommended dietary fiber intake needed for good health! So, what exactly are the health benefits of fiber and how do you get more of it? Keep reading to find out everything you have ever needed to know about fiber! Fiber is the part of food from plants that remains indigestible. It can be considered part of the carbohydrates when it comes to your macronutrients, and it can be found in a lot of the healthy foods that you are likely already eating. There are two types of fiber—soluble and insoluble. 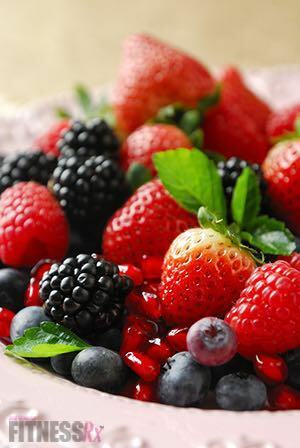 Soluble fiber is called soluble, because it partially dissolves in water. It gets fermented in the colon into gases and active byproducts that can act like pre-biotics, which stimulate the growth of beneficial bacteria in the gut. Foods high in soluble fiber are digested slowly by the body, and thus, can help regulate blood glucose levels and appetite. 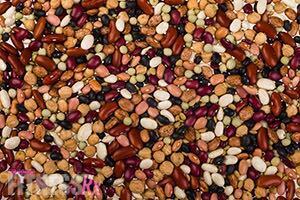 Soluble fiber can be found in beans, lentils, apples, oatmeal and bran, to name a few. Insoluble fiber is resistant to digestion, and therefore, it does not dissolve in water. However, some insoluble fibers can absorb water as they move through the intestinal tract. Some insoluble fibers ferment in the intestines while others simple act as a bulking agent. 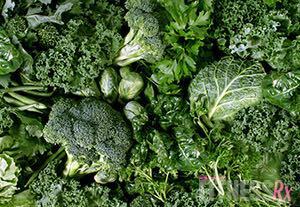 Insoluble fiber can be found in whole grains, seeds, nuts and dark leafy vegetables. Insoluble fiber can help keep you regular and prevent constipation by accelerating the movement of food through the digestive system. It has been shown that fiber intake can reduce blood glucose absorption, reduce blood glucose response after eating and help stabilize energy levels. Some forms of insoluble resistant starch fiber can help increase insulin sensitivity. Its slow digestion rate and can also reduce appetite and hunger between meals making you feel full for longer. It can increase healthy gut bacteria during the fermentation process of both soluble and insoluble fibers. Fiber has been shown to help reduce the risk of heart disease by lowering bad cholesterol levels (LDL). It has also been shown to help lower risk of metabolic syndrome, diabetes and obesity, as well as lower the risk of colorectal and gastrointestinal cancers. How Does Fiber Help With Dieting? Eating fiber can be a huge asset in your dieting arsenal. Although fiber alone won’t shed off the fat, it will help you stay in-control of your diet! First, it has been shown that people who ate 35 grams to 45 grams of fiber per day are less hungry when trying to lose weight and lose more weight than people who eat less fiber. In one study, the satiety level of people consuming apples, applesauce and apple juice with added fiber before eating lunch was compared. Those who ate the apple ate 15% fewer calories than those who ate the applesauce or drank the juice. The fiber from the whole food was found to be more filling and satisfying. Adding fiber to your diet will help reduce hunger, keep appetite in-check and may even help you eat less! These supplements pack a ton of fiber into one serving by proving phytonutrient-rich super foods, such as leafy greens, broccoli, wheat grass, barley grass and much more. Some greens supplements provide up to 2 grams per serving! Psyllium is derived from the seed of the pantago ovato plant. Probably the most common fiber supplement on the market today and is used primarily to promote regularity. Each one-teaspoon serving delivers approximately 3 grams of fiber. Psyllium Husk can have a laxative-type of effect. 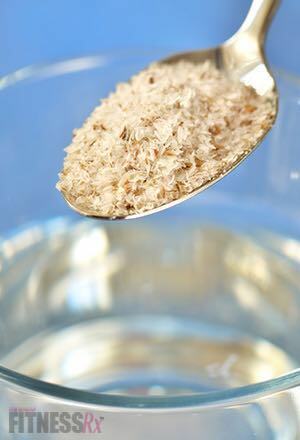 Typically, Psyllium is taken orally by mixing with about 8 oz of water. Konjac root is an Asian indigenous plant and is used to make the carb-free shirataki noodles. However, it can be also found in many appetite suppressing weight loss supplements or can be purchased on its own. Konjac has almost zero calories, and is an extremely soluble fiber. Konjac swells in the gut decreasing appetite and food intake. Inulin is derived from mostly chicory, although it can also be found in wheat, onions, bananas and artichokes. Inulin is an insoluble fiber that is not digested or absorbed. Inulin has been found to increase nutrient absorption of certain vitamins and minerals, while also increasing good gut bacteria. It can also decrease the body’s ability to make cholesterol and triglycerides. Inulin is often added to other supplements, such as nutrition bars, to help boost fiber content. Dietary Reference Intakes for Energy, Carbohydrate, fiber, Fat, Fatty Acids, Cholesterol, Protein, and Amino Acids (Macronutrients) (2005), Chapter 7: Dietary, Functional and Total fiber. US Department of Agriculture, National Agricultural Library and National Academy of Sciences, Institute of Medicine, Food and Nutrition Board. Flood-Obbagy JE, Rolls BJ. The effect of fruit in different forms on energy intake and satiety at a meal.